Adoor Bhasi was 63 years, 1 month	& 0 day old age. Adoor Bhasi is an excellent movie Director and Actor who was born on March 1, 1927, Vazhuthacaud, Trivandrum, Travancore, British India with the birth name as Bhaskaran Nair. Adoor is a brilliant actor who is well recognized for his performances in the roles next to the lead heroes. Most prominently, his funny and comedy roles in most of the scenes of Malayalam language movies is been appreciated by the crowd as well as the film industry for continuous four decades of his acting career. Additionally, he is also well known for his expressive speeches in English. 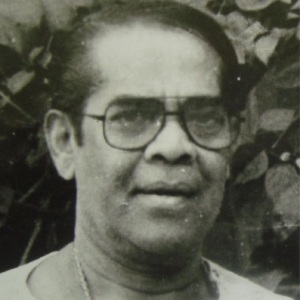 In the later years of the 1970s, he was successful in directing three movies in Malayalam movies. Moreover, he was the first person to identify Kamal Hassan and gave him the wonderful chance to perform in a lead role in his movie titled as Adiyapadam. The three movies namely Reghu Vamsam in the year 1978, Acharam Ammini Osaram Omana in the year 1977, and Adyapadam in the year 1977 were directed by Adoor. Most prominently, he got a chance to perform in the major role in the movie Mudiyanaya Puthran directed by Chandrathara. Later, he got a chance to play the comedy role in the movie Viruthan Shanku. Due to his brilliant contributions, he has received three Kerala State awards namely Best Actor Award for the movie Chattakkari, another Best actor Award for the movie Cheriyachante Krura Krithyangal and Second Best actor Award for the movie April 18. In addition, he has also performed in the villain role in Karimbana. Adoor Bhasi died on 29-03-1990 in Kerala, India, aged 63.